Wine is a fusion between two fundamental aspects: science and culture. The art of winemaking has been central to humanity since its earliest days, with records of winemaking dating back to ~7,000 BC. Wine is a pillar of religious practices and is essential to human celebration. But wine, before the days of refrigeration and vacuum packing, was also simply a staple form of drink, like its other fermented cousins, beer, etc. Hence, we thought of the benefits of introducing this age-old industry to the breakthroughs of modern science. Wine and synthetic biology, a perfect match. The approach to our project's vision and objectives was multi-faceted. Taking into account both the perspective of today's ever-sophisticated consumer and that of the industry itself. 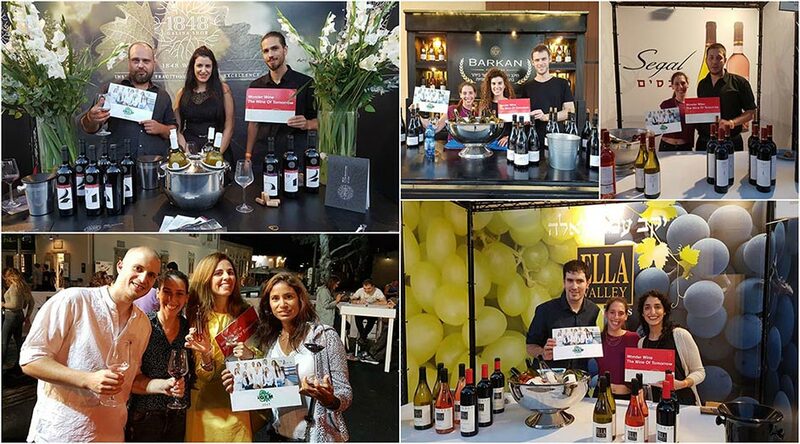 At a leading national wine festival - “lsh HaAnavim - The Grape Man”, we set out to interview real people who drink wine, to gain insight into the minds of the more savvy customers who play a major role in the market. First, we asked: How would they improve today’s wine products? One issue was prominent – the health attributes of wine. Wine's antioxidant capacity in the form of the Resveratrol molecule is a quality that is perceived as positive and people expressed the desire for wine with increased Resveratrol content. Conversely, a wine's sugar content is generally viewed less favorably. Diabetics and people with metabolic irregularities would clearly benefit from wine that has the all the same classic qualities (aroma, color, taste, etc. ), with significantly reduced sugar. The desire to create a better product led us to the people behind the scenes. Visiting with winemakers from around Israel opened our eyes to the entire process of wine production, from the grape to the bottle. We sought to understand the process of winemaking in depth and, in doing so, we were acquainted with the challenges encumbering the process, here in Israel as well as globally. We decided to also tackle the issues wineries encounter. Due to climate change, grapes ripen a lot sooner, essentially starting to ferment whilst still on the vine. This leads to a high sugar concentration, which in turn raises ethanol levels undesirably. The increased ethanol levels alter the aroma and taste of the wine in a detrimental manner. Winemakers are faced with the challenge of lowering the sugar content, without drastically changing the growth process of the vines, or the winemaking process itself. As mentioned above, wine has a major role in culture and religion, therefore we contacted several religious figures from the three main denominations represented by our group members - Judaism, Islam and Christianity. This offered added depth to our project, in the form of ethical considerations. It was imperative for us to understand the different religions’ stand on the issue of GMO in general and GMO in food in particular, especially since religion in Israel is a significant part of everyday life. It was a fascinating conversation filled with unexpected surprises. Since I am not a religious person, I had a certain misconception regarding the religious standpoint on synthetic biology. I admit that I approached this with a certain prejudice, for I couldn’t see how an age old religion could possibly have a ruling on 21st century science. In Leviticus XIX,19 we read: “Ye shall keep my statutes. Thou shalt not let thy cattle gender with a diverse kind: thou shalt not sow thy field with mingled seed: neither shall a garment mingled of linen and woolen come upon thee.” The Yerushalmi Talmud (Kilaim Ch. I) interprets “my statues” as the statues of creation, rather than legal statues. Thus the opening sentence “keep my statues” is the reason given to the prohibitions in this verse. A superficial study of this commentary may prove genetic manipulation to be contrary to Biblical law. A closer look, however, will show otherwise. 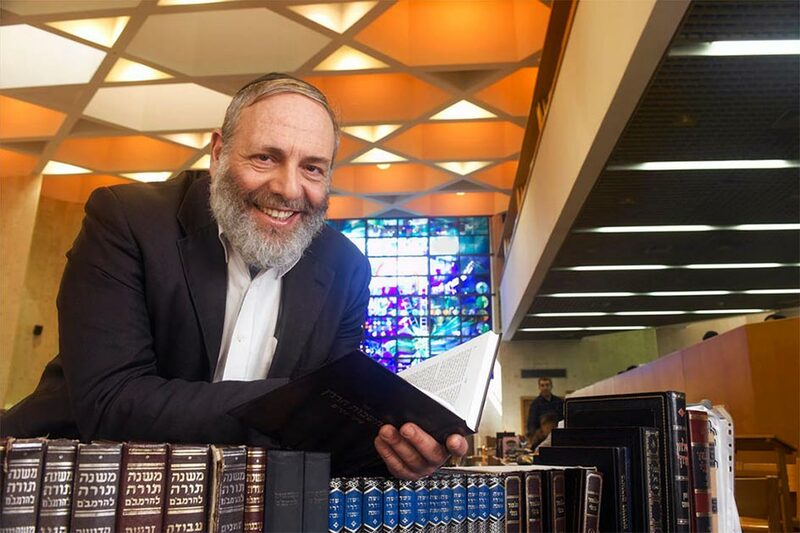 Ramban’s reasoning needs to be examined in view of the practical implementation of the Halacha to the prohibition of breeding dissimilar animals. It is an accepted ruling, as noted by one of the leading Torah authorities of the 20th century, Rabbi Avraham Yeshaiahu Karelitz known as Chazon Ish (Chazon Ish, Kilaim Ch II par 16), that using artificial insemination to generate a hybrid is indeed permitted, because the prohibition to “let thy cattle gender with a diverse kind”, applies to sexual contact of living animals only. But he also gave Man the power to improve upon Creation, and develop technologies in order to attain that improvement. Man is not allowed to use Nature to generate new species, doing so is an adulteration of Nature. However, this principle does not apply to anything Man does using his own technologies. If artificial insemination is considered a human technology which is not governed by the “ordinances of heaven”, it is even more so in the case of genetic manipulation. Halacha’s attitude is that the more advanced the technology, the more reason is there to permit it. Any other consideration of an organism being an unchangeable entity has no basis in Halacha. In Genesis II, 3 the Creation is summed up in the words: “And God blessed the seventh day, and sanctified it: because that in it He had rested from all His work which God created and made”. The actual Hebrew words read “which God created to make”, meaning according to the known Chassidic interpretation which God created for Man to make and improve upon. Man should never take any deficiency and malady as unchangeable, but should try to remedy it under the explicit license of God. The Islamic perspective on genetically modified organisms is complex and must be investigated from both traditional and contemporary angles. Islamic teachings on food must first be considered when debating the ethics of genetically engineered crops or animals. The Quran has many passages regarding food ethics, specifically stressing that food must be good, pure and wholesome, or ‘tayyib’ in Arabic. But the question of what food is ‘tayyib’ cannot be easily answered by only consulting religious texts—it requires a discussion involving Islamic scholars as well as scientists and experts. The Quran teaches that no one should change the creations of Allah, but other verses stress that believers who feed the hungry will be rewarded in the afterlife. There are also passages in the Quran which “motivate Muslims to conduct research and investigate God’s creation.” These passages could be seen as promoting the use of biotechnology to genetically alter crops that withstand drought or are resistant to disease or herbicide or enhance nutrition. This story could be used to show that “even back in the time of the Prophet, Arabs were changing food crops through selective breeding” and that Muhammad was open to changing his mind about the practice as he came to know more about farming and agriculture. In this sense, according to Islamic teachings, GM crops could be viewed in a positive light because they could benefit farmers and can help reduce world hunger. Rami Sawaed, our muslim team member heralding from Husniye, a Bedouin village in the Galilee, set a meeting with Sheikh Fwaz Swaed from Husniye. Rami: Where does Islam stand on genetic engineering? Sheikh Swaz: "There is controversy among religious leaders, with some saying that it is wrong to interfere with God's creation, while others state that we must move forward with the times and keep up with the ever advancing field of science. Islam beckons its followers to inquire, investigate and discover the world we live in, then use this gained knowledge to benefit the world and all its living beings. This is a tenet of Islam. Islam was also a major contributor to the earliest scientific breakthroughs. Islam demands us to be ethical and to never use the tool of genetic engineering to the detriment of humanity, also to not tamper with the genetic makeup of man in order to change the nature of mankind"
Rami: Is there a fundamental problem with consuming food products that have been genetically engineered? 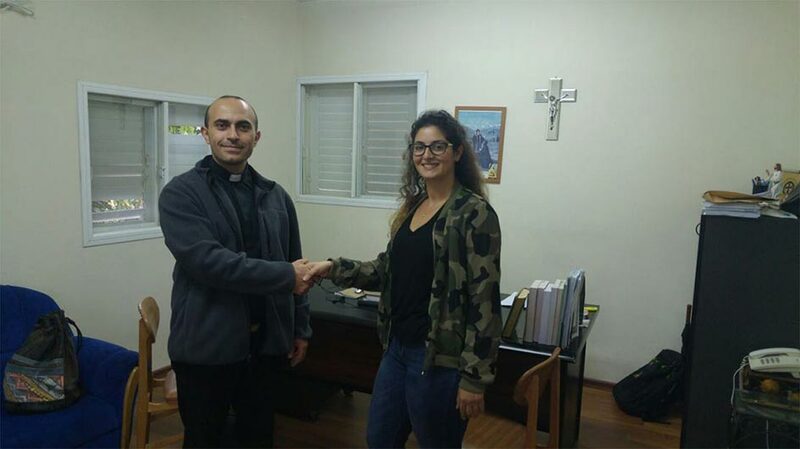 Florine Fares, our Christian team member, originally from Lebanon, set a meeting with priest Sandy Habib from the Syriac Maronite church in Jish village. Florine: “In general, What is the church opinion about GMO? What about using GMO in the food industry? Views of Rome on genetic engineering in 1999, after two years of discussions, the Vatican's Pontifical Academy for Life stated that modifying the genes of plants and animals is theologically acceptable. The Guardian reported that "Bishop Elio Sgreccia, vice-president of the pontifical academy, said: 'We are increasingly encouraged that the advantages of genetic engineering of plants and animals are greater than the risks. The risks should be carefully followed through openness, analysis and controls, but without a sense of alarm.' Referring to genetically modified products such as corn and soya, Bishop Elio Sgreccia, vice-president of the pontifical academy, added: 'We give it a prudent 'yes' We cannot agree with the position of some groups that say it is against the will of God to meddle with the genetic make-up of plants and animals. Chrisitianity relies on biblical verses for justification of pro or con arguments, therefore an analogousness is evident between Christianity and Judaism. In conclusion, With regard to the history of science and technology, synthetic biology has certainly been a new and, particularly for religious people, disquieting development. It can be seen that the relationship between religions and synthetic biology is a complex one that requires examination and discussion on the religious level.The heart of many religions, including biblical tradition, is touched when science questions the privilege of the deity or God to decide on the transitions between life and the inanimate. Hence, it seems for many religious people plausible to identify synthetic biology with a new and formerly unknown overstepping of this boundary. We as a group understand that there are many interpretations of the matter in different streams in the three main denominations. Together, we feel that the trend toward understanding the technology and its contribution to humanity is in a positive direction, which will enable the receipt of religious permits regarding the subject of synthetic biology in general and the subject of synthetic biology in food in particular. Under these circumstances, fierce ontological, philosophical, but also political and religious debates seem inevitable: Is artificial life real life? Do we have to prevent research in this field?